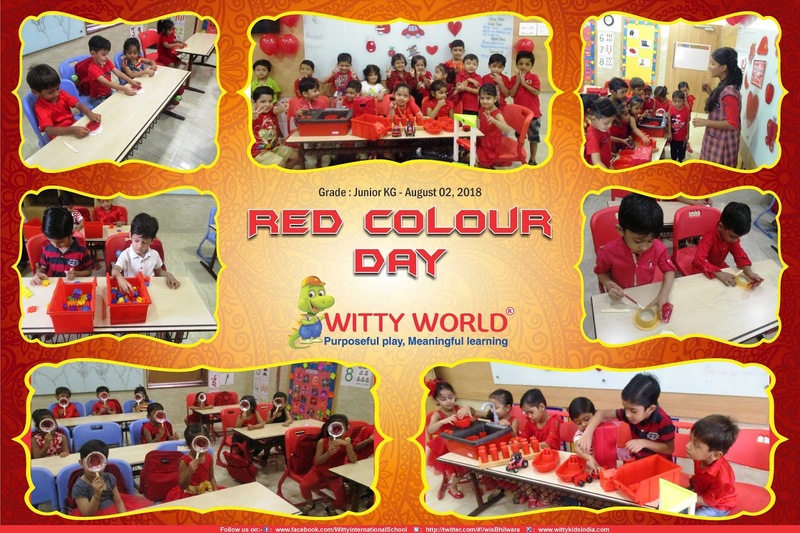 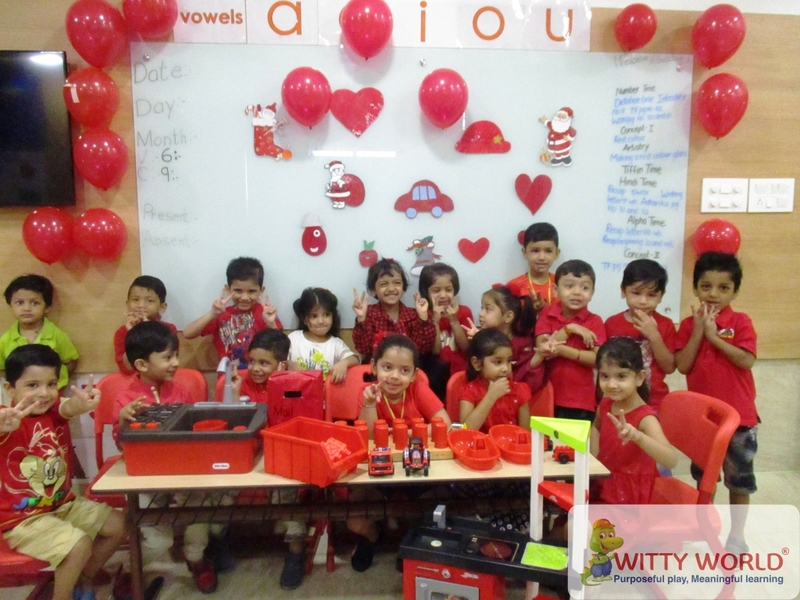 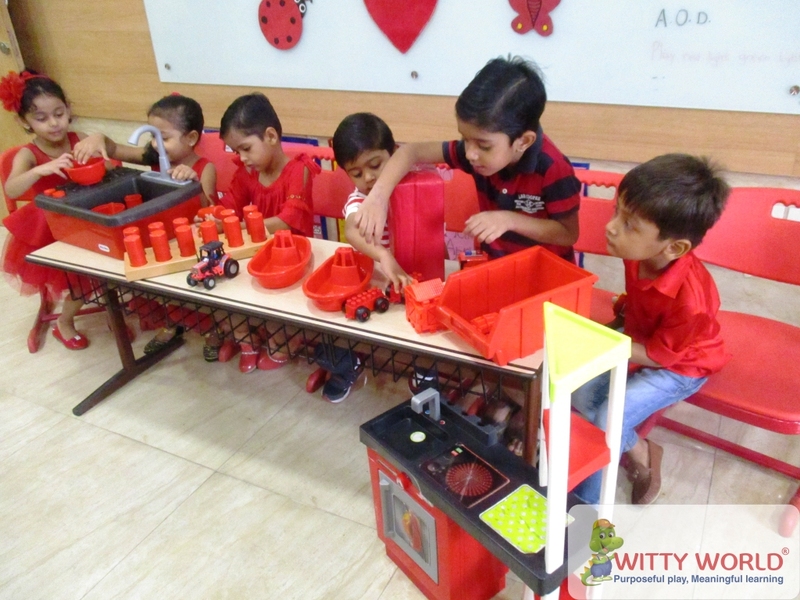 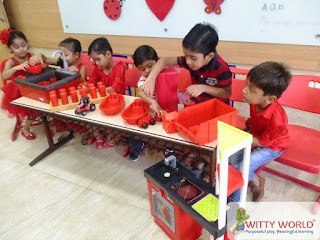 The little Wittians of Junior KG at Witty World, Bhilwara were introduced to Red Colour on Thursday, August 02’ 2018. Kids dressed themselves in red, made the gathering more colourful and attractive. The classroom was decorated with red coloured objects and balloons. Teacher showed them different object belong to red colours like rose, traffic light, post box etc. 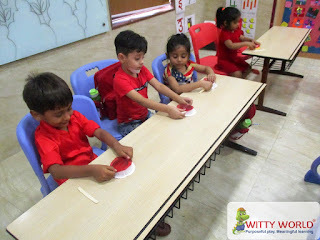 Children made a red colour magnifying glass using gelatin paper. 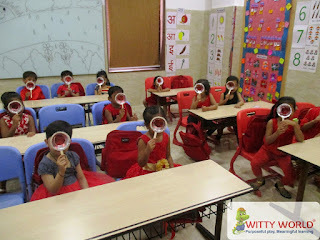 The activity brought the children more closer to the colour as seeing from the red magnifying glass was giving the complete red colour look to every visible thing. 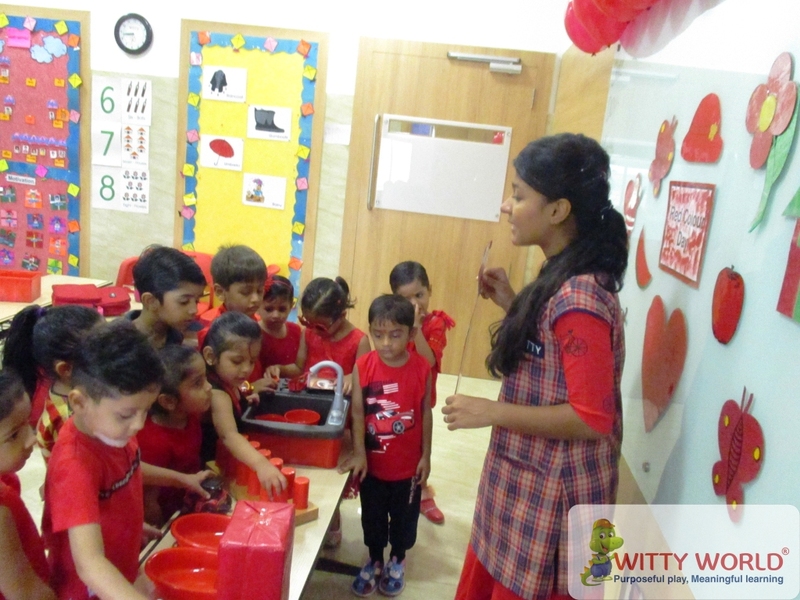 The kids enjoyed the day and took a creative learning experience with them.